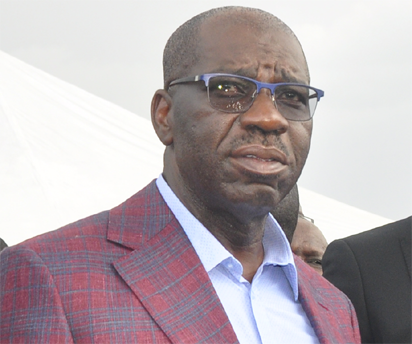 The Corporate Affairs Commission (CAC) has lauded the Edo State government’s commitment to digitising governance and enthroning a new era that will engender open and transparent processes in government business. Head of Corporate Affairs Commission (CAC) in Edo State, Barr. Amade Jacob, gave the commendation when he led executives of CAC on a courtesy visit to Governor Godwin Obaseki, in Government House, Benin City. Jacob described Obaseki as a genuine leader who is committed to lasting legacies via policies that are beneficial to the people of the state. Mr Jacob explained that they were in Government House to brief the governor on the ongoing initiative and programme of the commission in Edo State, called the Business Incentive Strategy (BIS), an initiative put in place to supplement the federal government’s policy on ease of doing business and efforts at encouraging and developing Micro, Small, and Medium Enterprises (MSMEs) in Nigeria. “It is a three-month window created for direct registration of business names at a reduced cost of N5,000. It is to ensure and encourage formalisation and registration of Business names at a reduced rate of 50 percent registration fee, from N10,000” he said. In his response, Governor Obaseki, said his administration has embraced digital technology to enable it compete globally with other progressive institutions, societies, states and nations around the world. He further said that his administration has entered into a partnership with reputable organisations to lay fibre optic cables across the state, starting from Benin City to rank among cities in Nigeria where digital access will be wide spread. “We are stepping up our game as a state and moving our whole platform of governance to digital platform for transparency and efficiency that come with digitalisation. Any society or institution that expects to compete globally must embrace digital technology”. He commended the group for the Business Incentive Strategy (BIS) programme which he noted, would encourage small businesses to formalise their operations and assured that his administration would work with the CAC on the project.